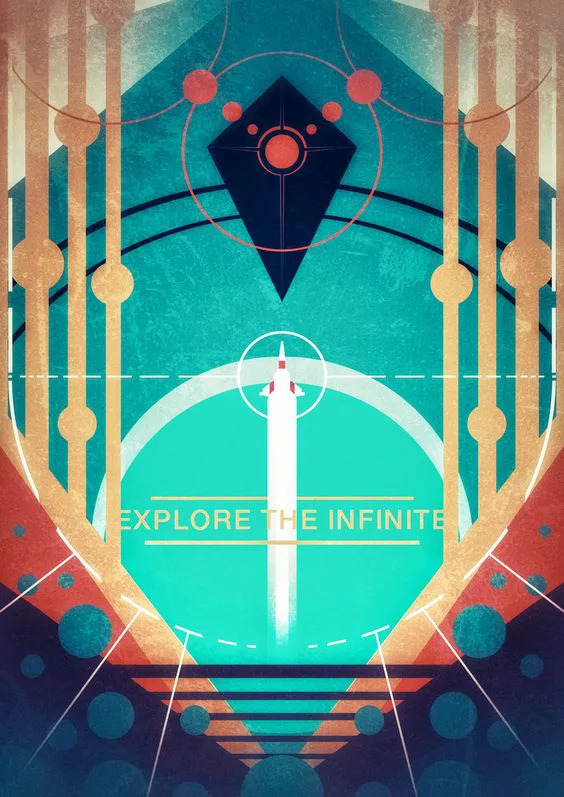 The extent of the No Man’s Sky universe is well covered; the procedural algorithms are capable of generating over 18 quintillion possible planets. If you’d visited one a second since the Universe came into being, you’d be under halfway done by now. With so much variety in the planets, flora, and fauna of the game – and the possibility of being able to name all of it in whatever manner you deem fit – it’s no wonder one would seek a No Man’s Sky naming convention. The temptation is real. You, the Traveller, come about in some until-now unexplored corner of the galaxy. 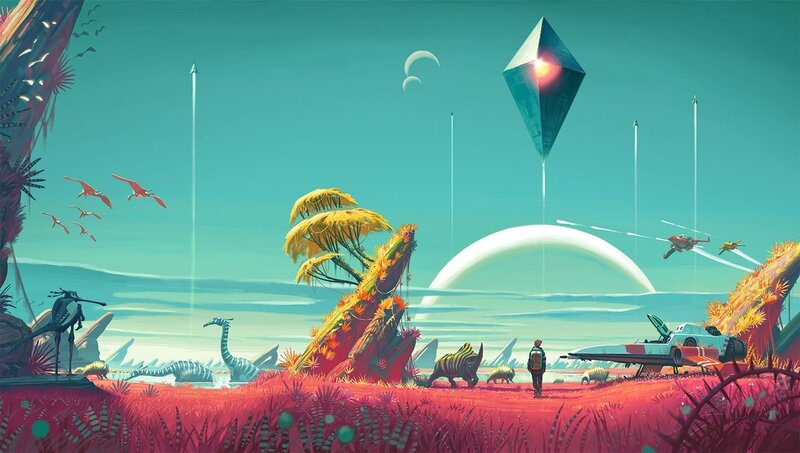 It’s likely that less than 1% of the No Man’s Sky galaxy will be collectively explored, so the opportunity to leave a real mark on it is enticing. In this post is a personal No Man’s Sky naming convention – which I’ll call “Odin’s Convention”, for the sake of simplicity – for various objects in the game. I’ll also be considering some of the procedurally generated characteristics of these objects and reveal a little about how it’s all organised within the game itself. Unsurprisingly, Odin’s Convention is tightly coupled with the game’s internal representation of objects. If you read through this and have some suggestions to improve, please get in touch or leave a comment! I’d love to hear from you. Mutisz did just this and has created a web app to generate names using this convention! How cool! There are things in the game which have names that can’t be changed, including galaxies and regions (above the “systems” level at which players can begin having an influence). What I’m going to describe in this post is the way I go about naming these things myself. Feel free to do something similar yourself, but I’m by no means suggesting everyone do it this way. Indeed, that would make the galaxy a little less interesting! That said, I’d love to hear your thoughts-and-feelings on the topic, so leave a comment if you feel so inclined. I’d be able to recognise one of the discoveries as belonging to me from the name alone. My optimal No Man’s Sky naming convention would pull all of these requirements together, though it’s likely to be a balancing act between them. Odin’s Convention has a number of hierarchical rules, like any good naming convention, which we’ll follow from top to bottom. There are 256 unique galaxies in No Man’s Sky. More exist beyond this limit but are visual copies of the final (256th) galaxy with a different name. The original voyage to all 256 galaxies was undertaken by /u/sHuRuLuNi; see the record of this journey on Reddit, which utilised a game bug to quickly hop from galaxy to galaxy. 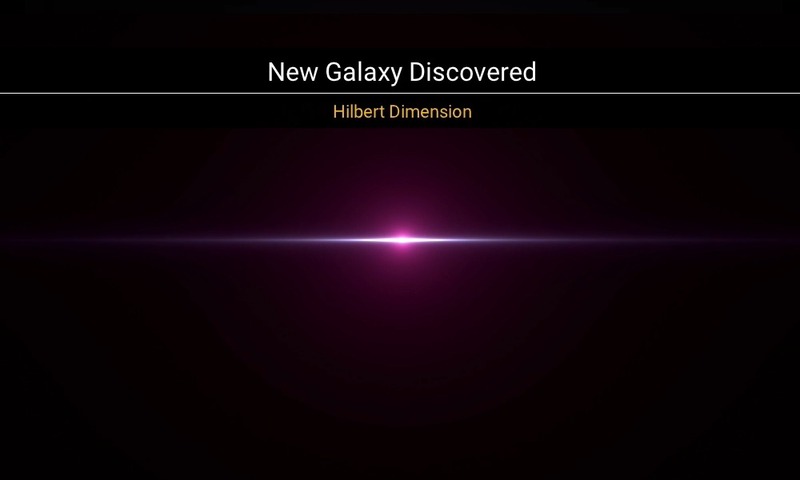 Hilbert Dimension is the second galaxy the player can reach. Players can’t name galaxies. The starting galaxy, which contains by far the greatest proportion of player discoveries and structures, is called Euclid. If Euclid is representative of galaxies in No Man’s Sky, then galaxies here are colossal. The Milky Way, in which we humans reside, is a large galaxy at 100,000 light years in diameter and 3000 light years thick. Most galaxies in the universe are smaller than the Milky Way. Euclid, by comparison, is, at its greatest extent, some 2.3 million light years in diameter and 51,000 light years thick, which puts it in competition with some of the largest galaxies in our own universe. Each galaxy is comprised of many regions, with each region containing somewhere in the region of 540 systems and occupying a volume of about 64 million cubic light years (400 ly a side). The Forgotten Colonies roleplay group – now known as the Outer Rim – pioneered a method for estimating region size by searching for the highest possible system ID in a portal sequence. Regions can’t be named by players but take a random name along with a region suffix or prefix, such as “Adjunct”, “Expanse”, or “Shallows”. Systems are the first tier of the hierarchy that can be named by players. The first requirement of Odin’s Convention is that names are derived from characteristics of the thing being named. Preferably this refers to objective characteristics that don’t require a judgement call on the part of the player – this can lead to inconsistency, violating the fifth requirement. I chose to focus on the spectral class for Odin’s Convention. Most stars are currently classified under what’s known as the Morgan-Keenan system; this originally used the letters O, B, A, F, G, K, and M for hottest (O type) to coolest (M type). Within each letter class are 10 further subdivisions, from 0 (hottest) to 9 (coolest). So O0 would be the hottest type and M9 would be the coolest. 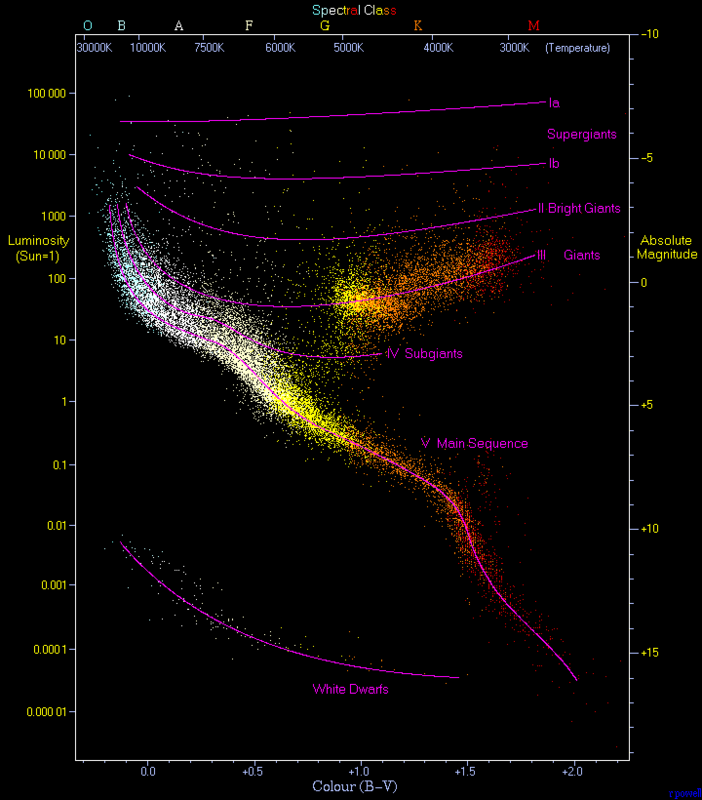 The Hertzsprung-Russell diagram is a scatter plot of stars incorporating stellar classifications, temperatures, absolute magnitudes, and often colours. An upper-case letter corresponding to the “class”: O, B, A, F, G, K, M, L, T, Y, E.
A number corresponding to the relative temperature within the class, between 0 and 9. A lower-case letter indicating any oddities in the star’s (or stars’) spectrum (or spectra): e, f, h, k, m, n, p, q, s, v, w.
For example, my starting system had the spectral class F3pf. 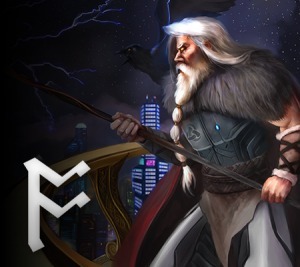 As a Norse deity themed blog, it seemed appropriate to use deities as the inspiration for the system naming convention. Use of mythologies – particularly Norse mythology – is a consistent theme of this No Man’s Sky naming convention. Choose from one of five pantheons (Norse, Celtic, Greek, Hindu, and Egyptian) depending on the relative temperature within the stellar class. 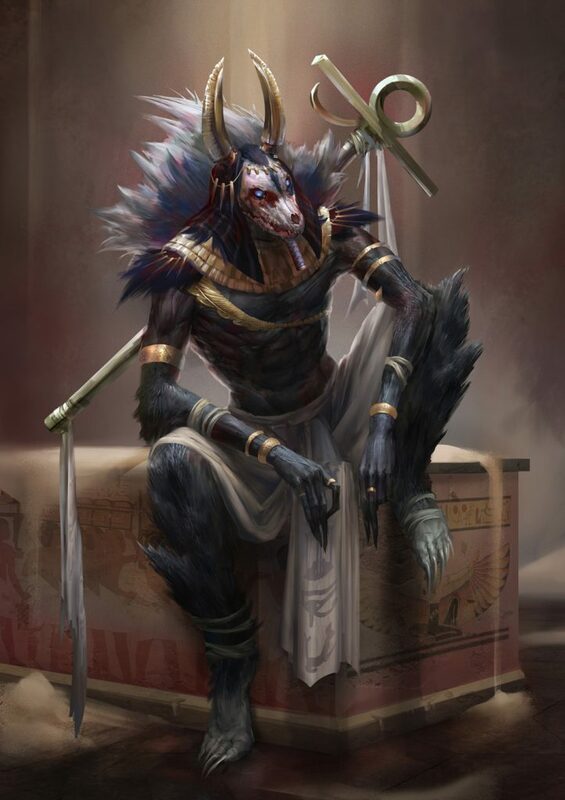 Seth, Egyptian god of the desert, storms, disorder, violence, and foreigners. Associated with the colour black, which I’ve chosen to pair with “dark brown” Y-class stars in No Man’s Sky. Now that I have a name root, I’ll create a portmanteau with the randomly-generated region name to get us most of the way to a fully-fledged system name. Using the F3pf spectral class, we have an associated deity of Krishna. This exists in the Toswati Instability. I create a portmanteau of Krishna and Toswati to get Krishnawati, the system name root. Now I just need to take into account the oddities. In the case of F3pf, this yields two affixes: op and ef. I combine this with the root Krishnawati to get the final system name: Op-Krishnawati-Ef. I toyed with the idea of adjusting the portmanteau with the affixes, but decided I liked the hyphenated naming style which, across a large number of systems, starts to resemble what is almost a language, with each name representing a mini-sentence to describe the system. If I had the predilection, I might introduce five additional pantheons! Odin’s Convention brings these data, as well as the system name root, into the planet name. Data is brought into the planet name by using Icelandic translations for associated descriptors for the planet data (Icelandic being the closest modern language to Old Norse). Somewhat arbitrarily, Odin’s Convention produces a portmanteau of the system name root (Krishnawati in the example above) and an Icelandic word associated with the weather type. An example would be the “refreshing breeze” weather type; the Icelandic word for breeze is gola. The full planet name is thus Golahna-Slafjarhof, though there could be many variations around this. On first sight, such a name is relatively meaningless, but to someone who has access to the information presented in this post – or perhaps to some xenolinguist/xenoarchaeologist – the planet characteristics could be determined from the name alone. View from a beach on Roolishna-Takteefjar, in the Kryuchans-Op system. Using information in this post, you’d know that this system is either an F2p or F3p. If I revealed the full set of planet data descriptors, you might also be able to determine more information about the planet. My own list is a work-in-progress, and I’d like to avoid releasing incomplete information for now. The heart of naming, arguably, is in the fauna of No Man’s Sky. In the real world, species are named according to a formal system called binomial nomenclature. A species name is formed of two parts, both using Latin grammatical forms, with the first part corresponding to the species’ genus, and the second part the species’ specific name. These both fall within a more extensive biological classification with eight major taxonomic ranks. For example, humans have the binomial name Homo sapiens i.e. we as a species belong to the Homo genus with a specific name of sapiens. A reduced view of the Phylogenetic Tree of Life. No Man’s Sky gives species default names that mimic binomial nomenclature, but don’t match exactly. It, too, uses a two part name, but it doesn’t align in the same manner as the real-world binomial name. As far as I can tell, the names are random and, if you were to collect them, you wouldn’t be able to construct a tree of life as one can for Earth-based species. However, there is a concept of genus in No Man’s Sky, which is hidden in the game code. 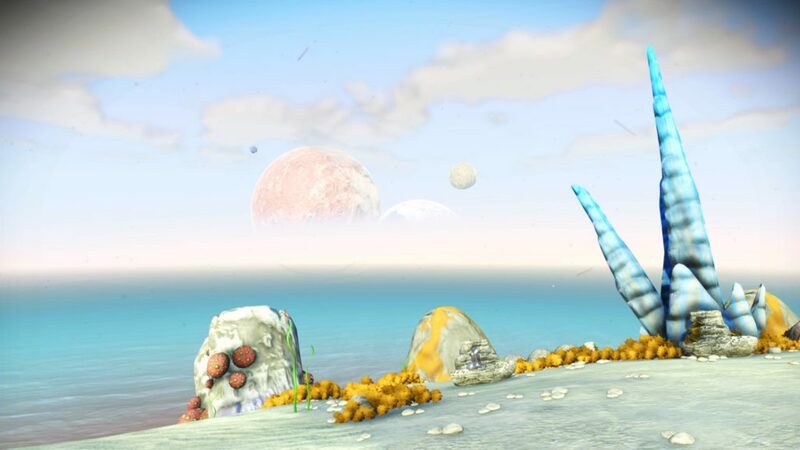 There are 23 genera in No Man’s Sky, which correspond to the morphological features of the species. 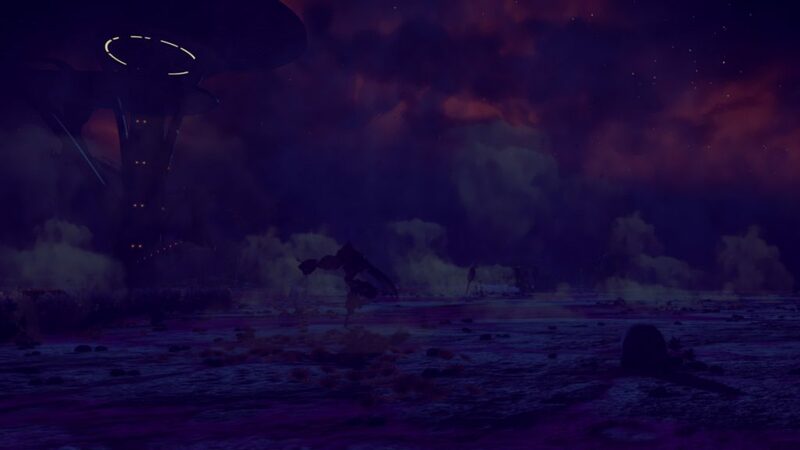 For example, the common “antelope-like” creatures belong to the Tetraceris genus; the rare “diplos” belong to the genus Rangifae. These genera are documented online, but they are expressed only through a species’ morphological features in-game i.e. there’s no data that indicates what genus a species belongs to. It’s unfortunate that the genus doesn’t appear in-game, but it seems to be a good candidate for Odin’s Convention. The different genera are pretty easy to distinguish. Next, Odin’s Convention needs a way to produce specific names so that the name, as a whole, uniquely identifies the species. It makes sense to me to incorporate the planet name into the species name. There is already a great deal of “uniqueness” in the planet name. Still, there could be multiple species of the same genus on a planet, so more is required. One could build all of these characteristics into the species name but, as for the system name and spectral class, one of these will likely be sufficient. I chose to use temperament. Anastomus narvi rakishna-laarharven – titans of the Kryuchans-Op system. So we have: <genus>-<temperament deity>-<planet name>. In other words, this is a trinomial naming system, rather than the binominal naming system we’ve been using as an example. The species names are honestly a bit longer than I’d really like. 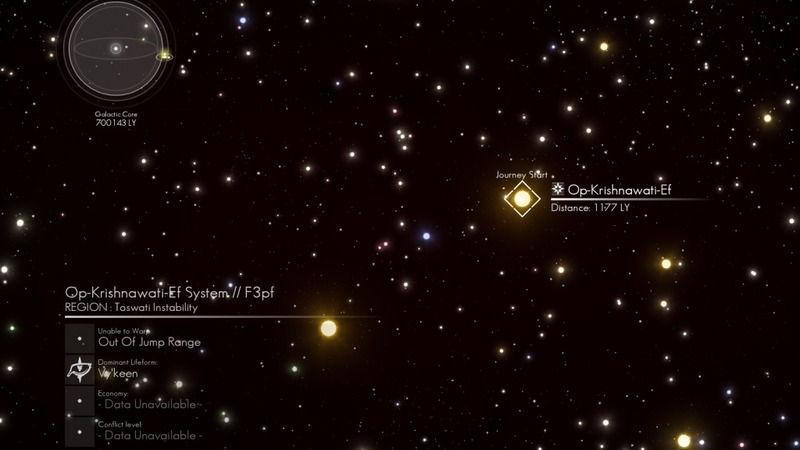 I toyed with the idea of using only the planet name root – Rakishna, in this example – but decided that this didn’t do enough to guarantee uniqueness. I haven’t actually performed significant analysis on any of the rules in Odin’s Convention to see what level of “uniqueness” is guaranteed, instead relying on the fuzziness of the portmanteaus to provide some flexibility. In the case of fauna, these rules occasionally aren’t enough to produce unique species names, in which case I adjust the temperament deity section with a simple suffix, such as a or y.
I hope I can be forgiven for saying that I don’t have much incentive for naming flora in No Man’s Sky. 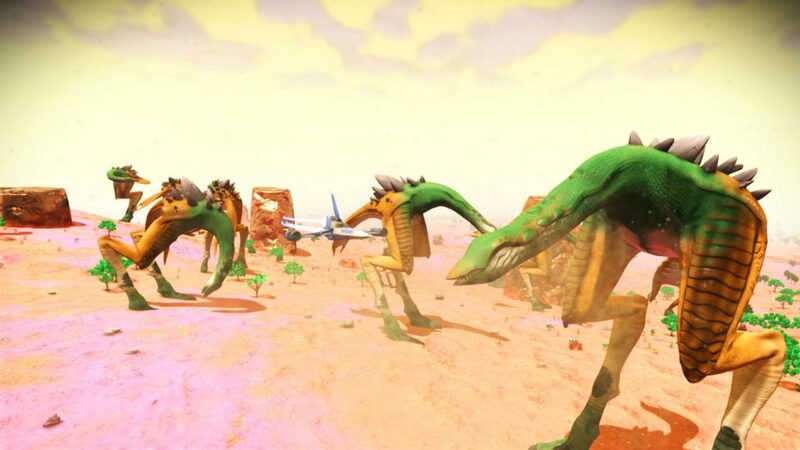 While some can be quite distinctive and really add to the air of “alienness”, I think that discussion of lifeforms in No Man’s Sky revolves around the fauna. There are, additionally, so many types of flora that one would be left forever naming them. While it’s interesting to peruse a recent backlog of fauna, I rarely stop on a type of flora to take a second, closer look. What really clinches this for me is the fact that none of the data associated with flora actually impacts the appearance or behaviour of the species in the game. One can’t see the root structure, the nutrient source has no connection to the environment, and the notes (such as “Combustible Fruits” and “Luminous Bulbs”) don’t actually affect the plant morphology. Flora don’t always obviously belong to one of these categories in the same way that fauna do to the identified genera. This is a huge violation of rule 3. I hope that, in a future update, flora are given a little attention on this front. At the moment, there’s no easy way to name them, so I’d rather just keep the randomly-generated names. If anyone reading this has a suggestion for a floral addition to Odin’s Convention, please let me know! Waypoints are best named, in my opinion, according to the facilities available or objects located at the waypoint. Given that no information is actually available to this effect in the Discoveries log, the waypoint name is potentially the only reliable way to retrieve information about the location (depending on the quality and extent of the thumbnail stored in the log). Some waypoints are mostly empty, save for a few resource caches, in which case I tend to name them according to a nearby object of interest that is otherwise without a waypoint, such as an alien plaque. Keep the auto-generated waypoint suffix (e.g. “Badlands”, “Flats”, or “Valley”). The name is composed of two parts, with a hyphen between the parts. The first part uses an Icelandic-based descriptor (as for the planet portion of this No Man’s Sky naming convention) depending on the waypoint type (see table below). The second part uses a randomly-generated name, with a different theme for each waypoint category (e.g. “Alien Antiquities”, “Transmissions”, or “Shelters”). I use Fantasy Name Generators to do this. I might therefore find a Holographic Comms Tower in some Plains, and call it the Heil-Oczugno Plains. Anastomus hretha breytunnos-stafjareek stalking amidst the fog of the Heil-Oczugno Plains. I don’t believe there’s the same draw to name starships and habitable bases in the same consistent “scientific” manner because the name is much more personal – it is an item that belongs to you, rather than to the universe as a collective. I still enjoy making links, though, so some looser convention still exists. Within each of these six categories, ships are further given one of four letter-grade classes: C, B, A, and S (from worst to best). I name my bases after places in Norse Mythology, drawing primarily from Norse Cosmology and the Nine Worlds. Starship Gungir at Niflheim Outpost on Roolishna-Takteefjar. 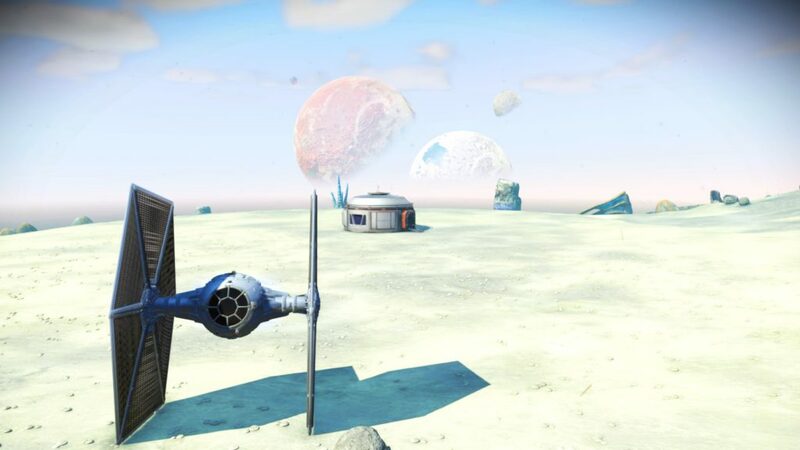 Yes, it’s a TIE Fighter – modded with Rayrod’s Overhaul. possibility of repeated genera and temperaments of fauna on particular worlds, leading to ad-hoc single letter suffixes on the temperament-deity portion of the species’ trinomial name. If anyone reading this has any ideas, please get in touch or leave a comment below. I’d love to hear from the No Man’s Sky community.